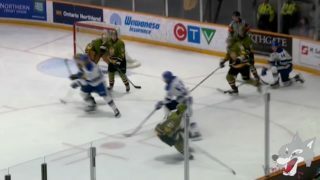 The Sudbury Wolves welcomed the Mississauga Steelheads back to the Sudbury Arena for some Tuesday night hockey. 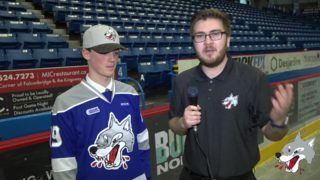 It was the Wolves first exhibition game, giving fans a preliminary glimpse of the 2017-18 Sudbury Wolves. Despite the Wolves hard fought efforts to close a 3-1 gap in the third, the Wolves were unable to comeback, falling 5-2 to the Steelheads. The visitors came out strong to open the period as Cameron Gaylor scored less than two minutes into the frame to take a 1-0 lead over the Wolves. Despite a good effort on the power play, the Wolves could not beat the Steelheads netminder Jacob Ingham. Jake McGrath played a fantastic period for the Wolves, making many great saves to keep the score intact, however the Wolves continued to trail 1-0 after 20 minutes. In the second period, Steelheads goals came from Jacob Cascagnette and Gaylor (2). Nolan Hutcheson put the Wolves on the scoreboard midway through the second. 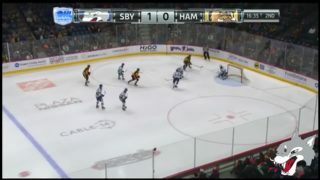 His goal was sandwiched between two from the Steelheads. 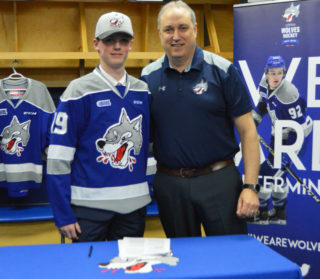 Midway through the frame, both teams made a goalie change as first year goaltender Marshall Frappier entered the net for the first time as a member of the Wolves. The Steelheads lead 3-1 after two periods. Despite a goal from Dmitry Sokolov, the Wolves could not stage a comeback in the third. Michael Little and Nicholas Canade scored late in the frame to cushion the Steelheads lead. 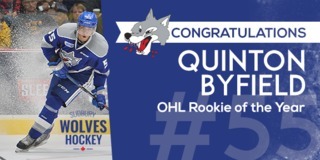 The Wolves fell by a 5-2 final, with shots on goal 42-23 in favour of the Steelheads. The Wolves will continue pre-season action at home next Wednesday, September 13th when they play host to the North Bay Battalion. Game time is 7:05pm. 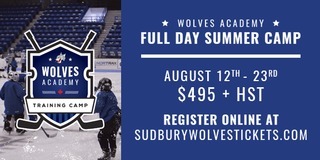 Tickets are available at the Sudbury Arena Box Office, by calling 705-671-3000 or online at greatersudbury.ca/tickets.